One thing about artists is they never stop creating and communicating. We all have questions about this world for show choir; here’s where you can find some answers. Here you’ll hear from the Show Choir Canada team: George, Peter and Victoria. We’ll talk about how we got started in the arts industry, and why we think the arts are important for everyone. You’ll also be hearing from some prominent guest bloggers: Performers, Industry Experts, Educators, etc. Even the most well trained vocalist would be hard pressed to maintain vocal integrity while simultaneously singing and running 10 laps around a track. And yet it is exactly what show choir performers are asked to do in their typical 20-minute competition routine. Fans and detractors of show choir can agree on one thing: show choir resonates deeply with youth who are drawn to the catchy arrangements, synchronized dance moves, or the innovative mash ups. Participants also broaden their horizons as artists, expanding their knowledge of genres of music; learn mic technique; and work with live bands. There are even national championships that whip participants and spectators into a frenzy worthy of sporting events; the excitement of Canada’s own national championship was captured in the 2015 Canadian Screen Award-winning documentary, Unsung: Behind the Glee. That event — the Show Choir Canada Championships — was created by arts education pioneer George Randolph, who trains Canada’s top Triple Threat talent, and agent/producer Peter da Costa, who represents them. For five years, Show Choir Canada (SCC) has nurtured the development of show choirs in Canada, crowned five champions, and seen choirs return year after year to improved performances. While the competition already provides a unique experience for students, in 2016 SCC will be focusing on music educators, whether they already have show choirs in their schools and want to improve on the experience, or are just thinking about starting a show choir, but do not know where to begin. One of the topics Show Choir Canada hopes to broach in a new series of free educator workshops is the challenge of adding movement to music–a hot topic at the recent OMEA conference that da Costa attended. One challenge was simply the lack of resources, i.e., most schools have a music teacher, but not all have dance teachers. SCC aims to connect educators to choreographers in their areas, but also recommends encouraging students to create choreography themselves, or accessing other students in schools who are competitive dancers. Another challenge was integrating complex choreography without compromising healthy vocal technique. The biggest obstacle is in the inherent disparity in training for singers and dancers. While singers are trained to contract and flatten their diaphragms, essentially pushing their abdominal muscles out and down, dancers are trained to contract and raise their abdominal muscles, thereby restricting the expansion vocalists require. To overcome this challenge, music directors and choreographers need to collaborate, and communicate clearly about the specific requirements of each discipline. For educators leery about entering the world of show choir, SCC is offering a new pre-competitive division for high school and junior high schools. Competitors will be able to present routines to an audience of supporters in a professional theatre, and receive valuable feedback from international adjudicators without the added pressure of being scored. OMEA Members can contact info@showchoircanada.com to register for a free Show Choir workshop, “The X, Y, Glee of a Winning Show Choir” taking place during the 2016 Championships and receive a free ticket to the event. In anticipation for their upcoming performance at Nationals, I recently visited my high school show choir D-Verses. As I watched the show choir that I directed last year dance and sing their way through their set, all the memories of the choir room – of laughter, of sweat, of trying to get our auxiliary cable to work with the speakers – came back to me. Almost exactly one year ago, I was preparing D-Verses for Show Choir Canada Nationals 2013 – tightening choreography, finalizing formations, and polishing vocals. It was a nerve-wracking but exciting time for us. And then came the day of the competition. We were all nervous, some of us having never performed on stage before, right before we entered the theatre. But when we settled down in our seats, we forgot about our nervousness – we just took in the performances, amazed and awed by the other high schools and what they had prepared – they inspired us. As we went backstage to warm-up for our own performance, we reminded each other of all the hard work that we put into making our show possible – and that no matter the outcome, our passion, memories, and bonds that we made could never be taken away from us. The rest, you could say, is history. We left our hearts and voices out there on the stage, and came out with the Spirit Award. For a show put together in two and a half months, we were absolutely ecstatic and honoured. This time, I will be participating at Nationals in a different capacity – watching from below the stage – and I will be cheering hard for D-Verses and all the show choirs. I can’t wait to see what everyone has come up with this year. To the performers – have the best time of your life out there, and leave it all out there on the stage. To the audience – be prepared to be amazed and wowed by the show. I walked into the classroom, and my heart immediately dropped to my stomach. There were so many girls, all of them, so intimidating. I almost stopped and turned around but my friends convinced me to stay and try out. I had only seen Glee perform once for us and the moment the show started I wished that I could be up there singing and dancing too. Today was the auditions and I was going to try out. I remember from the first time that I heard a song I liked, I wanted to sing it and soon that became the only thing I did when I was alone…. Just sing my heart out. Most of the time, I was too shy to sing in front of anybody else. They called my name and then I was suddenly up there in front of all of them. They told me to start singing whenever I was ready. I picked the song “Not over you” by Gavin DeGraw. I slowly started to sing and I became more confident as I went on. I could see the faces of my friends change because I normally never sang to them. A few weeks later, an announcement came that the list would be posted outside our library and our whole class went into a state of panic. I was walking down the hallway, I told myself that it was okay if I didn’t get in, but I was actually going to be devastated if not. I looked at the list, searching for my name and then, I saw it there! I was ecstatic! Being part of the Glee club has been one of the greatest experiences in my entire life. Before I joined Glee, I thought of it a lot like a choir that usually meets once a week. But now I know that being a Glee cast member is a huge responsibility and that there is so much more to it than the show itself, the hair and the makeup. It brings you closer together with the people who share the same talents as you and enjoy the same things you do. You get to perform your singing and dancing abilities to various audiences and it not only creates happiness within me, but also in the people that watch us. Now, I realize that it has helped me discover my love for music and dance and appreciate it even more. I found out, too the importance of working as a team and having team spirit in whatever you go through in life. Currently, our Glee club is preparing for Show Choir Canada and all of us are trying our very best so that we have another successful year in doing what we love. This truly has been an amazing experience for me so far, and I am looking forward to go on this exciting journey as long as I can. Show choir: I had not heard the term until I was asked to work on this film. I knew about the hit TV show Glee, of course, but I had little sense that these marvels of high school song-and-dance had a world all their own outside of Hollywood. In fact, I was impressed to learn that each April, over a dozen schools from across Canada come to Toronto to compete in the Show Choir Canada National Championships. A video of the 2012 competition revealed a world of such colour, youthful energy and great drama that I was virtually thunderstruck. How had I missed this? There was no question that there was a story here; one that would also make a wonderful documentary about the real world of glee and the captivating people who are a vital part of it. Given the large playing field, we narrowed down the focus of the documentary to two schools – Wexford Collegiate School for the Arts and the Etobicoke School of the Arts. The two schools have been the top competitors in the first two years of the competition with a tremendous level of performing skill. The documentary would follow each school through weeks of rehearsals right up to the big day where they would compete against one another and the other schools from across Canada. Yes, there would be rehearsal dramas and all the tension building right up to the point where the winner is announced; I looked forward to documenting it all. However, the most dramatic aspect of the documentary had completely escaped me until I started shooting – the students themselves. I was completely gobsmacked by not only their personal stories but also the manner in which music and performance gives these young individuals a means to transform their lives in positive ways. I witnessed how art can build friendships, create healthy communities, and transcend all that is dark and threatening. I had previously thought – naively so – that only professional art could offer these possibilities. Who knew that I could also find it in the classrooms of a local high school? I believe in the power and value of show choirs. They’re great places for young people to find themselves and to recognize the importance of hard work in creating successful lives. They’re also great places to realize that the success of any group or community is not rooted in the ability of one person but the combined forces and talents of all who are involved. Moreover, they’re an important place to discover the transcendental power of art. And for adults like me, they are a great way to reclaim something incredibly valuable that may have been lost somewhere along the way. “Unsung” coming to TVO this fall. 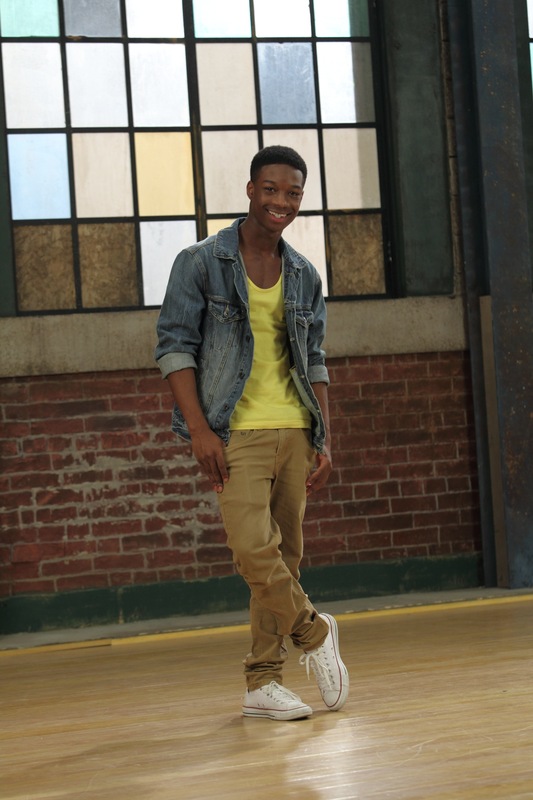 On the eve of his new Family Channel TV series THE NEXT STEP premiere, Show Choir Canada chatted with Lamar Johnson, an alumni member of the 2011 Show Choir Canada National Champions Wexford Gleeks. Check out what influenced Lamar the most, how show choir helped land him his big break, and his advice for aspiring actors! Make sure to catch Lamar (and 2013 Show Choir Canada National Championships host, Jordan Clark) in THE NEXT STEP on The Family Channel this spring! Congrats, Lamar! 1) Tell us about THE NEXT STEP, and what drew you to the show. The Next Step is a reality-style drama series which follows 10 elite dancers through the world of competitive dance, with a common goal of winning the Regional Dance Competition and qualifying for Nationals – in a nut shell. What drew me to this show is that it’s a TV series that solely focuses on DANCE. It’s not something commonly portrayed on television as much as us, as dancers, would like. Also the fact that it has a ‘reality’ twist to it automatically had me sold. 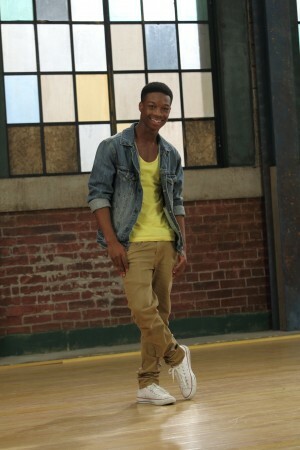 2) What was the audition process like for THE NEXT STEP? The audition process was pretty straight forward. It was sort of like a typical dance audition. We get there, learn a combo, present the combo in groups, then have a couple of 8 counts for freestyle. Then for the acting side of things, gave each group a scenario, then asked us all to improvise and see how far we’d go with this one situation. What I really enjoyed was the fact that the panel (director, producers, writers etc.) really wanted to get to know us on a personal level. They asked us a series of questions, then asked us to answer them to the best of our ability. 3) You were a member of Wexford Gleeks, who were Show Choir Canada’s first ever National Champions – what made you want to be a part of show choir? What made me want to be a part of Show Choir Canada, was because it was something brand new being brought to Canada, allowing us kids with passions and aspirations to showcase our talents, all while representing our schools. 4) How did it feel to be the first ever National Champions for Show Choir Canada? It felt amazing being part of the very first Show Choir Canada Champions. My high school, The Wexford Gleeks, had won it all, and the emotions on stage were indescribable. We worked extremely hard for the title, so it was rewarding to see our hard work paid off. It was also great to have made a legacy, and also set the bar for the contestants of the year following. 5) What were some of your favourite show choir experiences? Some of my favourite Show Choir experiences were really getting in the gear and the work before it all happened! The non- stop rehearsals. Weekend rehearsals, after school rehearsals, lunch rehearsals, PA day rehearsals. We literally ate, slept and lived Show Choir. So that experience really stuck.. At least for me, haha. And OF COURSE, getting the title of the very first SHOW CHOIR NATIONAL CHAMPIONS!! 6) THE NEXT STEP is all about dance – how important is dance and choreography to show choir performers and routines? Dance to me, personally, is a MUST-HAVE when it comes to something being brought visually to a stage.. Period. It gives the audience and judges something visually intriguing to follow. Of course, I’m not taking away from vocals, or anything else that is judged in competitions like these. But dance gives movement and formation, and me as a viewer would dread to see something on stage which is completely stationary. 7) What did being part of Wexford Gleeks teach you about performing? Being a part of the Wexford Gleeks taught me to leave everything backstage. All the nerves, feelings, egos and passions. Leave all of that at the door, and get on stage and convey a MESSAGE for the audience and judges to FEEL. Also, remember to BREATHE! 8) How has Wexford Gleeks and your experiences performing in high school led you to what you are doing today, how do you feel show choir has helped prepare you for where you are now? Being able to perform in high school was probably the best thing that has happened to me. High school is a place where you generally find ‘yourself’ and who you really are as an individual. And being able to perform and do what it is I love to do, really helped me find myself not only as an individual, but as a performer. Show Choir Canada has definitely opened my eyes to the world of.. Show Choir! Before the experience, I had never essentially been witness to all of the aspects of ‘Show Choir’ and how many talented singers, dancers and even student choreographers there were that collectively come together and create this great, big performance for the world to see. That alone inspired me to so many levels, and has really helped me prepare for where I am now. 9) What can you recommend this year’s 2013 show choirs, competing at Nationals, do to stand apart from others and claim the top title? COMMIT, COMMIT, COMMIT. Get on that stage, and commit 110% to WHATEVER it is you are engaged in. Whether you’re in the back hitting symbols, hit those symbols like it’s the last time you will EVER hit them, and live that one moment to the fullest! That’s the only way the judges and the audience will FEEL what it is you’re doing. There’s a difference between moving an audience opposed to them just liking the performance. In my opinion, that’s the only way your team will stand out and claim the top title. 10) What advice can you give to current show choir high-schoolers looking to make their big break professionally? Now, last, but definitely not least. My advice to current Show Choir high-schoolers looking to make their big break professionally is to be persistent and NEVER give up. Even when it feels like you’re going no where, STAY PERSISTENT. Your success will be the product of your persistence.. If you let it. Tristan: Awwwww, I won :) How embarrassing.